The Knox Box is a component of a Rapid Entry System (RES). An RES is an on-premise security key box which provides firefighters immediate access to locked buildings, storage rooms, elevators, and other secured areas without forced entry in an emergency situation. Time is always a firefighters worst enemy. The ability to gain access rapidly conserves precious time and helps preserve valuable property. Since 2017, the Essexville Public Safety has been registered with the Knox Company to provide the security system which best serves our community. 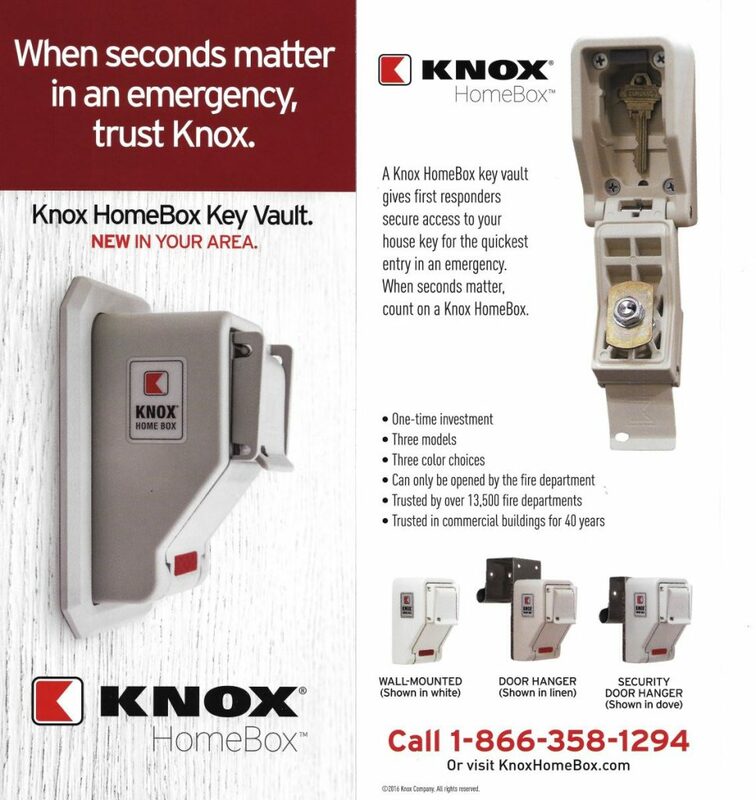 Ordering a Knox Box is easy, and a great way to add further protection to your home or buisness. For step by step ordering instructions and further information please watch the video below.